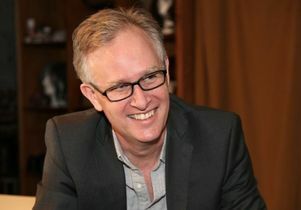 Jon Christensen is a veteran science journalist and an adjunct assistant professor in the UCLA Institute of the Environment and Sustainability and the department of history. This column appeared Oct. 27 in the Conversation. Two years ago, Janet Napolitano, the president of the University of California, pledged that the whole UC system would become the first university in the world to become carbon neutral by 2025. That is to say that in just 10 years, the hundreds of thousands of students, faculty, and staff in the UC system will no longer contribute to climate change while going about their normal business in the university. Can the lessons we’re learning here in California be scaled up to the nation and the world? That’s the question that 50 researchers from a wide range of disciplines throughout the University of California ask in “Bending the Curve: Ten Scalable Solutions for Carbon Neutrality and Climate Stability,” a new report which I was senior editor of. It’s being released October 27 at a summit meeting with Governor Jerry Brown, Napolitano, and many of the researchers, including atmospheric scientist V “Ram” Ramanathan, who will take the recommendations to the global climate summit in Paris next month. Can California be a model for confronting climate change? The answer is yes, but not, of course, in a simple way. If California were a country, it would have the eighth largest economy in the world. What works here will not automatically work everywhere. But there are solutions that can scale, as we like to say here in the home of Silicon Valley. And perhaps surprisingly, they are not all technological. Indeed, the big takeaway message from this report is that if science and engineering were enough to halt carbon emissions, climate change would already be well on the way to being solved. The rest of us — social scientists and scholars of the humanities, education, communication, the arts, policy, and law — could all go home. But we can’t, because it will take all of us working together not only to make the University of California’s campuses carbon-neutral, but to scale up solutions. That means working with colleagues around the world to bend the curve of carbon emissions to neutral — or very close — worldwide by 2050 to stabilize Earth’s climate in the twenty-first century. Target short-lived climate pollutants immediately. Short-lived climate pollutants — methane, black carbon, hydrofluorocarbons, and ozone — are powerful contributors to global warming. Unlike carbon dioxide, emissions of these pollutants can be cut back quickly, slowing warming in the near term, averting extreme climatic events, and providing breathing room for the world to fully transition to carbon neutrality. If, for example, we reduce methane emissions by 50 percent, black carbon by 90 percent, and completely eliminate hydrofluorocarbons by 2030, we can cut the predicted global warming in half by 2050, our report finds. Reducing these pollutants will also have immediate and dramatic health benefits for residents suffering from air pollution in cities worldwide, and it will help to decrease crop losses and water shortages associated with these climate pollutants. Immediately scale up the technology we already have. Solar and wind power, electric light-duty vehicles, and efficient end-use devices, particularly for lighting, air conditioning, and industrial processes, are ready for widespread use now. We need to promote and provide economic incentives for using existing technology now, while investing in research and development of emerging solutions — such as better batteries and other energy storage devices and cost-effective carbon sequestration — to fully transition the world to carbon neutrality around 2050 and then bend the carbon curve downward in the years beyond. Communication is crucial, and religious and community leaders are vital allies. Because fundamental changes in attitudes and behaviors are critical, climate change is a cultural phenomenon as well. Messages that work for some people will not work for others. People need to see that they can take concrete steps in their lives to help solve our shared climate crisis. As Pope Francis has so dramatically demonstrated, religious and community leaders at every scale are crucial allies for creating a culture of climate action. Reduce emissions from the wealthiest, empower the poorest. Climate action requires dramatically lowering the carbon footprint of the wealthiest one billion people on the planet who contribute roughly 60 percent of the climate pollution, while promoting clean energy solutions for the poorest three billion people, who will suffer the worst consequences of climate disruption. Some of the poorest people in the world also live in and manage many of the great forests and other ecosystems that capture and store carbon. We need to learn from them and better support them in managing these crucial parts of our global climate system. California’s success in curbing greenhouse gas emissions while continuing to thrive economically does offer lessons for other parts of the world. 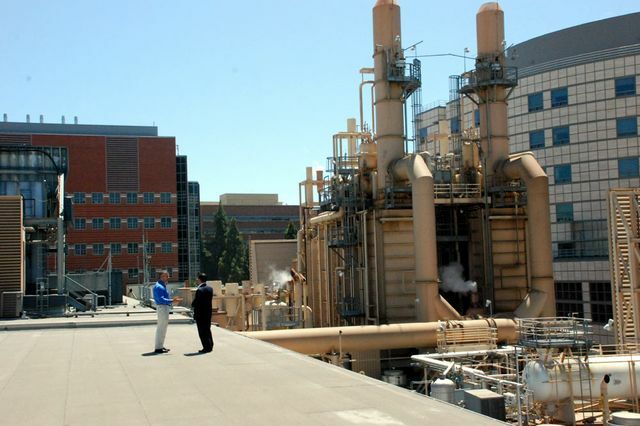 Chinese officials have visited the University of California to learn how Los Angeles has made dramatic progress in cleaning its air in recent decades. California is now relentlessly ratcheting down on greenhouse gas emissions statewide. For example, electric utilities are required to purchase a large percentage of their electricity from renewable sources and the state has adopted a low-carbon fuel standard for tailpipe emissions. Governor Brown has also promoted voluntary climate action agreements at the subnational and international levels, which serve as a model for the voluntary agreements expected in Paris later this fall. 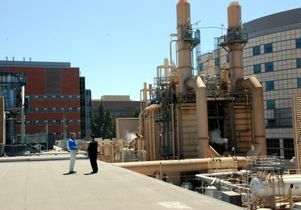 The University of California is becoming a living laboratory for technological and other solutions as it moves toward climate neutrality. Researchers in the UC system are working with colleagues around the world to share these and other lessons that are emerging, not just from the University of California, of course, but from research and action being undertaken around the globe today. In this way, the University of California is much like every other university in the world, and we hope that others will join us as we figure out how to walk the walk as well as talk the talk in our common challenge to bend the curve of climate change. Jon Christensen, journalist-in-residence at the UCLA Institute of the Environment and Sustainability.